What is our event about? 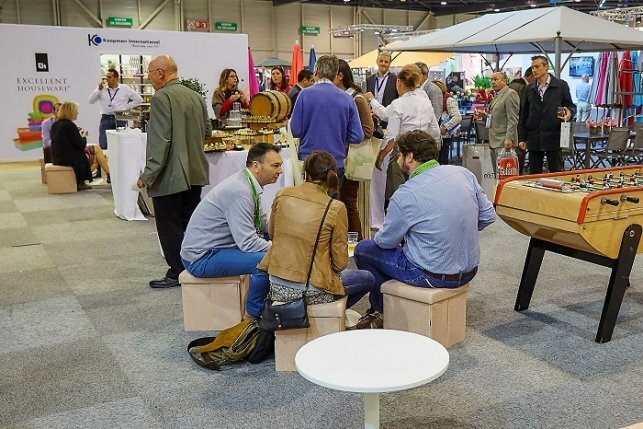 In business for the past 16 years, the gardening distribution channels’ key buyers and suppliers have been meeting each year at the Journées des Collections Jardin’s trade fair. Our Target : to help you save time and money by combining several months of sourcing and market monitoring into one event. Therefore, helping you to prepare your next listings. Our job is to help you succeed with your job. As always, we do our best to provide a pleasant business environment allowing quality networking among attendees. Indeed, the French garden distribution networks start their listing process in April. Our programs are customized together with the major retailers, in addition to offering them the opportunity to schedule their listing committee sessions during the fair. An event to help you keep in mind to fore-cast the future trends to match the buyers’ needs. And decision makers from all distribution channels: Garden centers, Grocery retail, Home improvement centers (DIY stores), Individual stores, Trading companies, Wholesalers / agents, SVC / VAD. Only purchasing decision-makers from buying centers (Grocery retail, garden centers, DIY stores, e-commerce…) and independent stores are allowed on site. They may register through a specifically developed accreditation request. 16 years - We have been gathering gardening professionals since 2001. 350 exhibitors have joined in 2017. 110+ exhibitors per category, showcasing attractive products and innovations.